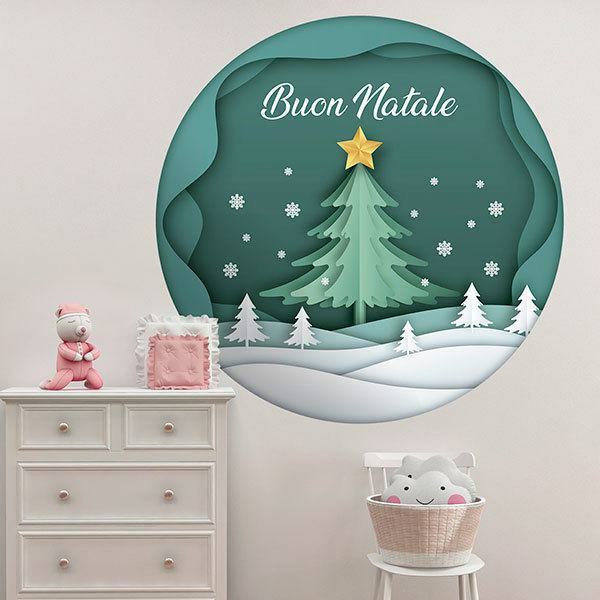 Kids wall sticker Christmas sphere, in italian. 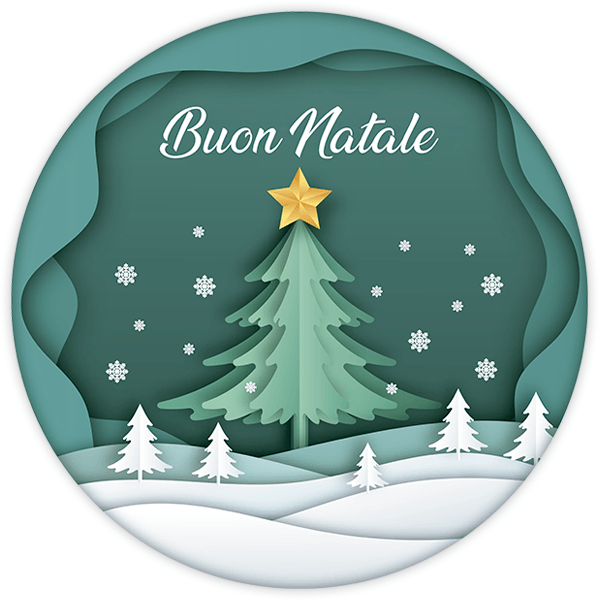 Vinyl with the text Merry Christmas in Italian that reminds us of crystal balls with snow. The design is circular and we find a landscape of trees while it snows, in the center there is a bigger one with a star.